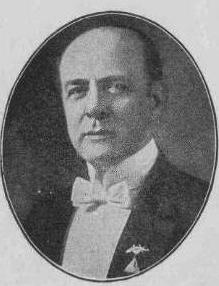 Franklin Warren Sears (also known as F.W. Sears) was a pioneer in New Thought Psychology. Through his books, correspondence courses, as well as by personal counselling, he was able to help a great many people overcome everyday difficulties of all kinds. For twelve years between 1902 and 1914 F.W. Sears was married to influential New Thought leader Julia Seton M.D., who gave him a grounding in New Thought teachings and philosophy. He later branched out to become a successful New Thought lecturer and writer in his own right. Dr. Sears' philosophy as taught in “"The Book Without an If" ” introduced the concept of the Law of Harmonious Attraction, under which things come to us because they want to come and not because we make them come; they remain with us because they want to do so. In his most widely read book, "How To Attract Success " Sears explains the Law of Harmonious Attraction in great detail. This law has become the foundation for much of the booming self-help industry in the world. F.W. Sears was a pioneer in the field of self-help writing and teaching and his theories remain as relevant decades after his death as they were at the time of his writings in the 1910s and 1920s.